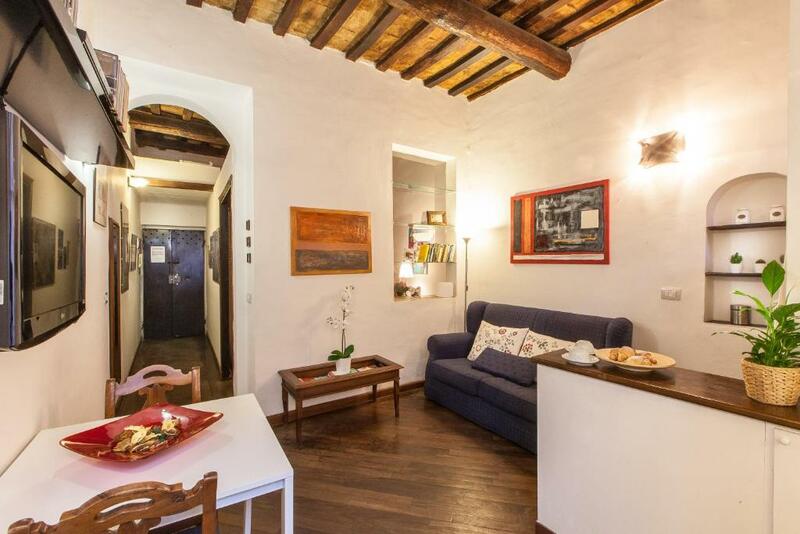 Amazing location and super quiet considering you’re in the best part of Trastevere. Would stay here and recommend to others in a heartbeat. Amazing and well priced food nearby and having the guidance of the host as we checked in was incredibly appreciated. From start to finish Maurizio was the best host. The apartment was just perfect and in the most fantastic location! 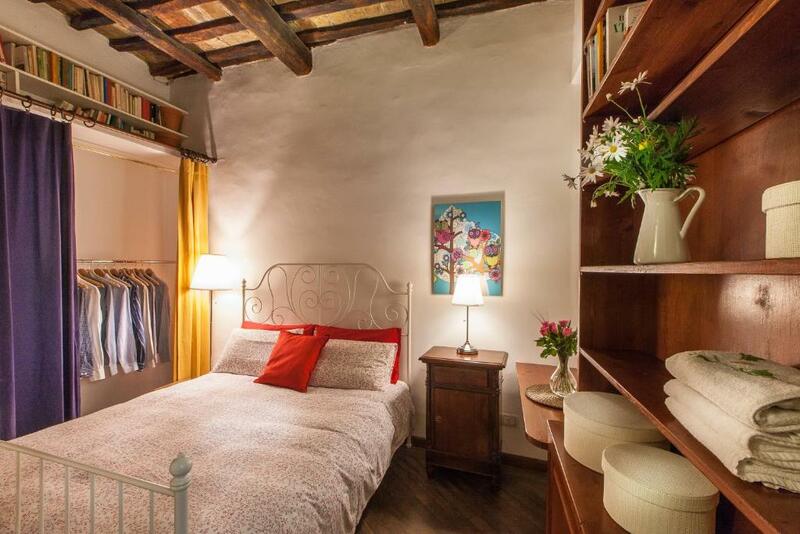 Easy walking distance to all of Rome's splendors and right in the heart of Trastevere surrounded by lovelt little restaurants and bars! Despite being in the lively Trastevere area once in your room you couldn't hear anything so it really was perfect!! 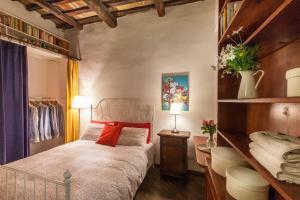 Excellent location in Trastevere few steps from Ponte Sisto bridge. Clean apartment and Maurizio very helpful. Loved the wifi and air condition. Felt very safe and would stay there again. The street is very lively and around but not in the apartment as in backyard. Often musicians in Piazza Trilussa near Ponte Sisto in the night. Loved the little streets with all the little restaurants and bars. So easy walking distance to The Vatican, The mouth of truth, Campo di Fiori, Piazza Navona (with artists and musicians), Pantheon, Trevi and the Spanish steps. Minimarket around the corner near Da Gildo restaurant and Coop accross Ponte Sisto on Via dei Pettinari. Mauritzio was there when we arrived. He took time to tell us about the area all the do's and don'ts. He recommended places to eat which lived up to our expectations. 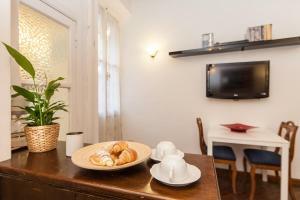 All in all it was a fabulous holiday and we would have no hesitation in staying in this apartment again and would recommend it to friends and family. I liked the location, choice of restaurants, closeness of the city transport. I liked the vibe of the street. I liked the price! The host was kind enough to help me with my heavy luggage, carrying it up the steep stairs. The host was kind enough to provide a welcome gift basket with crackers, cookies, water and other treats. The apartment had everything that was needed for cooking, cleaning and feeling almost at home. We thought the location was awesome and the owners were very helpful and welcoming. The apartment was big and the bedroom had lots of storage. The shower was tiny and made more so by the annoying shower curtain. The kitchen was advertised as self catering. It wasn’t and is the reason we wouldn’t stay again. It had 2 camping hot rings and not even a toaster. It was misrepresented, and we were really disappointed. Excelente ubicación. El anfitrión muy solicito. Deja a disposición te, café, galletas y snack. El anfitrión se ocupó de gestionar nuestro traslado desde el aeropuerto, envío material para que pudiéramos desenvolvernos en nuestra estadía y luego, nos brindó mapa y asesoramiento. Excelente anfitrión. Dans un super quartier, à pied de tout. L'appartement est tranquille et confortable. Lock in a great price for TrastevereApartment – rated 8.7 by recent guests! 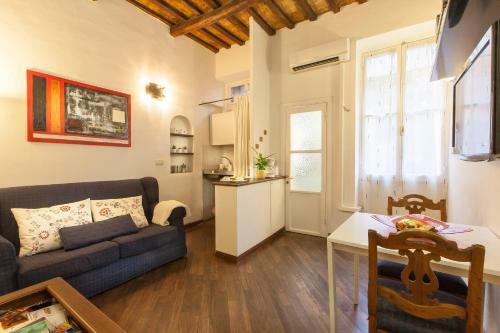 Located in Rome, within a 6-minute walk of Piazza di Santa Maria in Trastevere, TrastevereApartment offers accommodations with air conditioning. 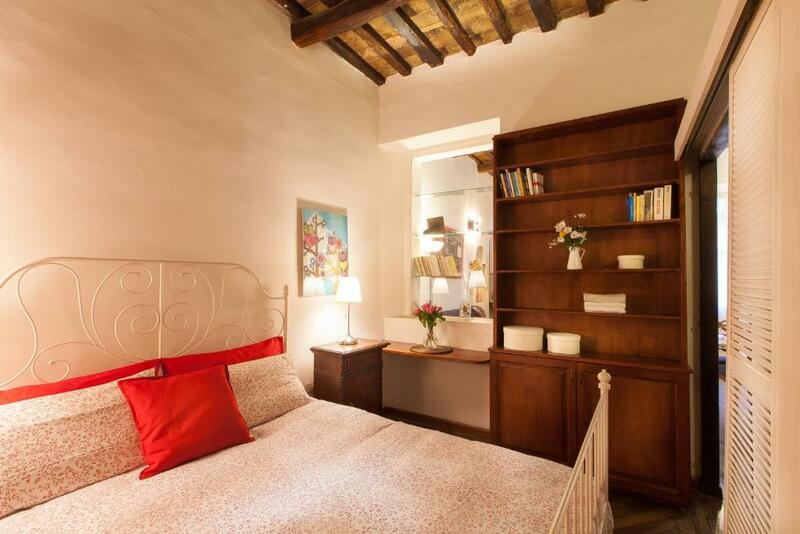 The property, housed in a building dating from 19th century, has free WiFi and is 0.9 miles from Campo de' Fiori and a 20-minute walk from Great Synagogue of Rome. 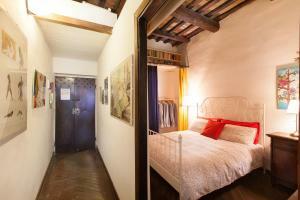 The apartment includes 1 bedroom, a bathroom with a shower, a seating area, and a kitchenette with a fridge. A flat-screen TV and a DVD player are featured. Palazzo Venezia is 1.3 miles from TrastevereApartment. 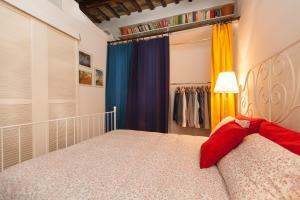 The nearest airport is Ciampino Airport, 10 miles from the accommodation. When would you like to stay at TrastevereApartment? 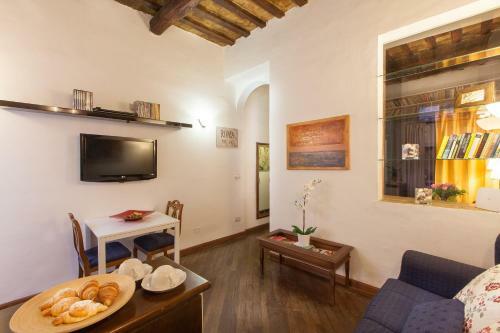 This apartment features a DVD player, electric kettle and air conditioning. "Trastevere Apartment" è situato al centro della vita notturna di Trastevere, e quello che rende unico questo appartamento, è che avendo le finestre in un cortile interno, quando i nostri ospiti vogliono riposare, non saranno infastiditi dai rumori. House Rules TrastevereApartment takes special requests – add in the next step! TrastevereApartment accepts these cards and reserves the right to temporarily hold an amount prior to arrival. Please inform TrastevereApartment of your expected arrival time in advance. You can use the Special Requests box when booking, or contact the property directly using the contact details in your confirmation. The shower is a little small but really, it’s not that much of a problem considering everything else. The street intercom was broken and I did not know the number of the apartment when I arrived. Only the house number was provided at the booking and the host was insisting that I should use the intercom when I arrive. It made the arrival stressful, since I was left standing on the street, in front of the locked door and broken intercom, until the host showed up. (To his credit he agreed to let me in before the official check in time, since my plane arrived early in the morning). I was not notified that there street is closed for traffic in the afternoons and evenings. In lieu of all these, I had to go to the airport the second time to meet my mother, who was arriving from another city, and who would not know the apartment number, or be able to use the intercom. She arrived in the evening and the taxi driver just dropped us on the street several blocks away, so we end up dragging her luggage (on cobblestone) for ten minutes to the apartment. There is no elevator and the stairs are too steep, so I do not recommend his place to someone who is like me-- travels with heavy suitcases. The lack of kitchen and the tiny shower. Would have loved to have bigger bathroom/shower..but know it is an old building. If someone stays for one week, there are no tools to clean the rooms, and there are no cleaners. As a result, the place can become dirty after five days.